Dennis Heath is a chainsaw artist based in the grounds of Knebworth House. 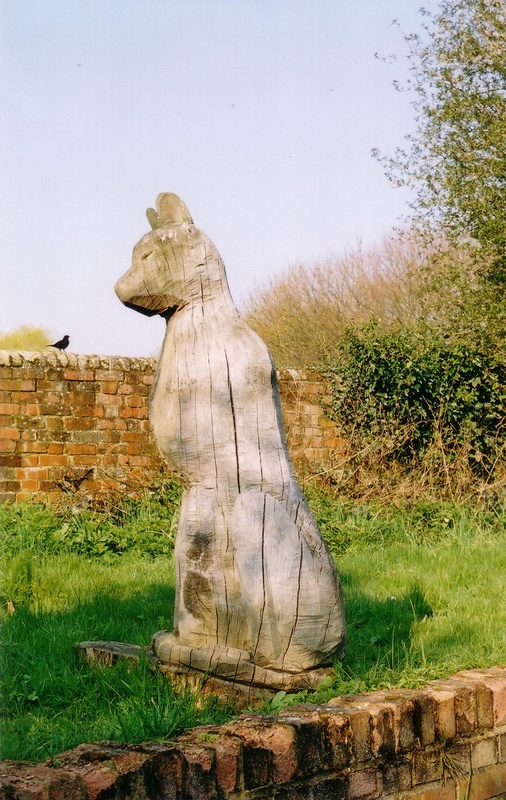 There are many examples of his work in the town, including a totem pole in Fairlands Valley, and “Friendship and Peace” in the Millennium Garden at King George V Playing Field. He was a Fellow of the Digswell Arts Trust. I was particularly pleased that the blackbird also posed for this picture at Fairlands Valley farmhouse when I took it in about 2002. Dennis Heath tells me the cat has since gone with him to Knebworth House, where it is lurking in the undergrowth!